(Phys.org) —Insatiable demand for popular online applications on the go has created a sustainability time bomb for cloud services, according to Australian research published this week. The report – "The Power of Wireless Cloud" – warns that industry has vastly underestimated energy consumption across the cloud ecosystem as more people access services using portable devices. The popularity of services like Google Apps, Office 365, Amazon Web Services (AWS), Facebook, Zoho cloud office suite, and many others delivered over wireless networks, is driving a massive surge in energy consumption. The new white paper, by Melbourne's Centre for Energy Efficient Telecommunications (CEET) shows that urgent action is required to curb spiraling energy consumption and CO2 emissions. Principal Research Fellow Dr Kerry Hinton, CEET Deputy Director stated, "When Greenpeace analysed cloud efficiency it hit a nerve with the likes of Google, Microsoft and Apple by suggesting that data centres are to blame for a 'dirty cloud'. In fact, the problem is much worse, data centres aren't the biggest issue. The trend towards wireless is the real problem, and the networks are to blame. By 2015, the energy consumption of data centres will be a drop in the ocean compared to wireless networks in delivering cloud services." "The problem is that we're all accessing cloud services – things like webmail, social networking and virtual applications – over wireless networks. It's the modern way but wireless is an energy monster, it's just inherently inefficient." "Our calculations show that, in 2015, the wireless networks we use to access cloud services will command around 90% of the energy needed to power the entire wireless cloud services ecosystem. By comparison, data centres will account for only 9% or less. Industry needs to focus on the real issues with wireless network technologies if it wants to solve this problem." CEET is investigating ways to improve the way networks are managed for energy efficiency. The global telecommunications system is estimated to consume 2% of the world's energy, and that figure could grow to 10% by 2020 if no action is taken. "We often think of bandwidth as the barrier to the way online services evolve and improve. The very real message here is that the real bottleneck, looming sooner than we think, may be energy." "The findings of this paper are an important starting point to improving the energy efficiency of cloud services. They provide a benchmark, highlighting where attention is needed and to measure progress to improvement." "I think its unlikely people trade away the mobile convenience of these services. Another solution might be to increase the way network resources are shared among users, but more likely we'll need a radical improvement in the efficiency of the technologies themselves and potentially a fundamental change to the way data is managed across the global network. These are the things we're investigating at CEET. More dramatic, this energy for wireless network, increases strongly the level of radiofrequency or micro-waves in our brain and our body, with various illness appearing many years later !! It will be like for asbestos, for byphenyl A, or many other chemical, pesticides, OGM, waiting nearly a century, to discover the reality of the illness and vorbidding its use, around the year 2100 !!! dedereu: None of what you claim about wireless is true. Actually a minute in sunlight (radiating xrays etc) is way more "dangerous" than long term wifi or mobile phone. But the fact is that people with little knowledge are afraid of the wrong things. An important distinction that affects the health risks from radiation is whether the energy is ionizing or non-ionizing. Ionizing radiation is high-frequency radiation that has enough energy to remove an electron from (ionize) an atom or molecule. Ionizing radiation has enough energy to damage the DNA in cells, which in turn may lead to cancer. Gamma rays, x-rays, some high-energy UV rays, and some sub-atomic particles such as alpha particles and protons are forms of ionizing radiation. Non-ionizing radiation is low-frequency radiation that does not have enough energy to remove electrons or directly damage DNA. Low-energy UV rays, visible light, infrared rays, microwaves, and radio waves are all forms of non-ionizing radiation. Skin effect of the HF EM prevents the signal from penetrating the body very deeply, so yeah- not really a deal. The correlation between "Cloud" computing and wireless technology is used entirely the wrong way. 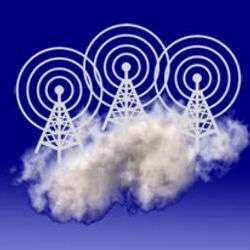 "Cloud" systems are on wired, not wireless networks. "Cloud" Servers have nothing to do with wireless technology. And the power required for 4G services is less than past technologies because it's more efficient. As more existing wireless users upgrade 4G the less power consumption there should be. So the trend is to use less power with new Technologies. Do you really think the wireless companies are not looking at ALL there oportunities to cut costs? They absolutley are.